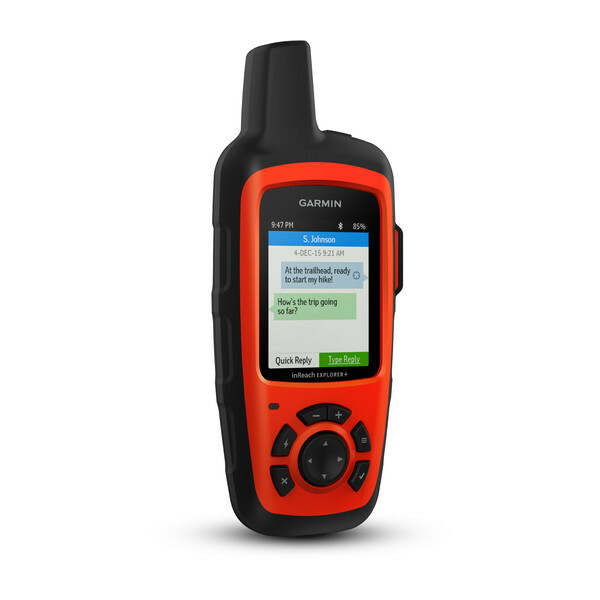 Garmin inReach Explorer+ handheld satellite communicator device is preloaded with DeLorme Topo maps and you can also add additional maps for use on land or at sea. Garmin inReach Explorer+ additional features include Accelerometer, Barometric Altimeter and Compass. 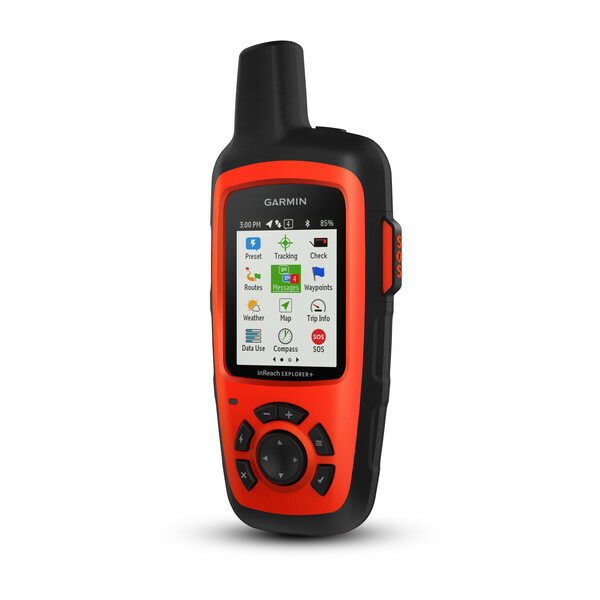 The inReach Explorer Plus uses 100% global iridium satellite network is used to enable you to send and receive text messages even when out of range of the mobile phone network using the GPS signal (subscription required). The Garmin inReach Explorer+ has an impressive 120 hour battery life. Please note: a satellite subscription is required to enable the features of the inReach Explorer+. 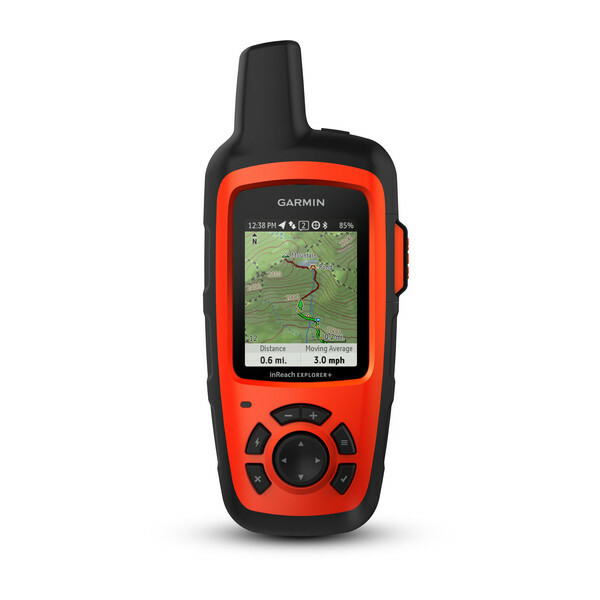 The Garmin inReach Explorer + is a handheld GPS navigation device that is tough, durable, impact resistant and water resistant IPX7. Not only is it GPS it also uses 100% global iridium satellite network (satellite subscription required) to enable text messaging to mobile phones without the need for mobile network coverage using GPS connection. Plan your trips with routes and waypoints, create preset message and quick texts, sync and manage your device settings, update firmware, download additional TOPO maps, link your social media accounts, store all location tracking data and more - using Garmin explore website. 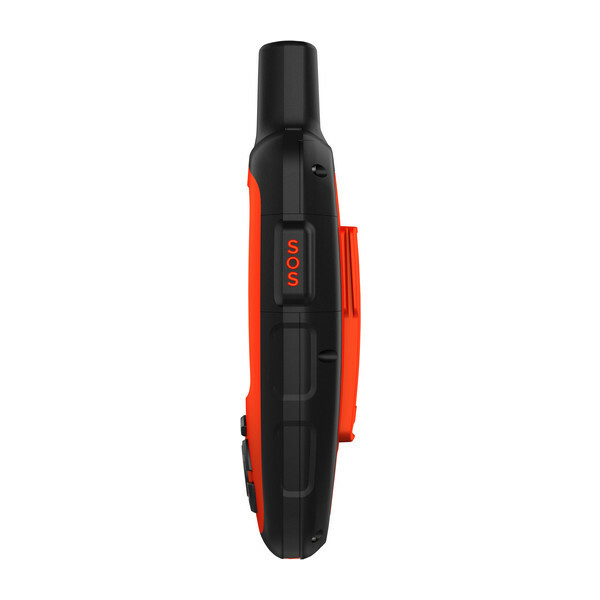 The inReach Explorer Plus adds preloaded DeLorme TOPO maps with onscreen GPS routing plus built-in digital compass, barometric altimeter and accelerometer to allow detailed GPS navigation. The Garmin inReach Explorer+ is ideal for use on land and water. Do you have a question about the Garmin inReach Explorer+ or other handheld GPS related question that's not been answered on this webpage? Please see our handheld and Outdoor GPS FAQs page for questions from other customers.Plus if the answer to your question isn't featured, use the online form to ask us for the answer. Alternatively please telephone 01733 777623 Monday to Friday (9:30am-5:00pm) to speak to one of our sales team. For further information online please see the Garmin inReach comparison table. 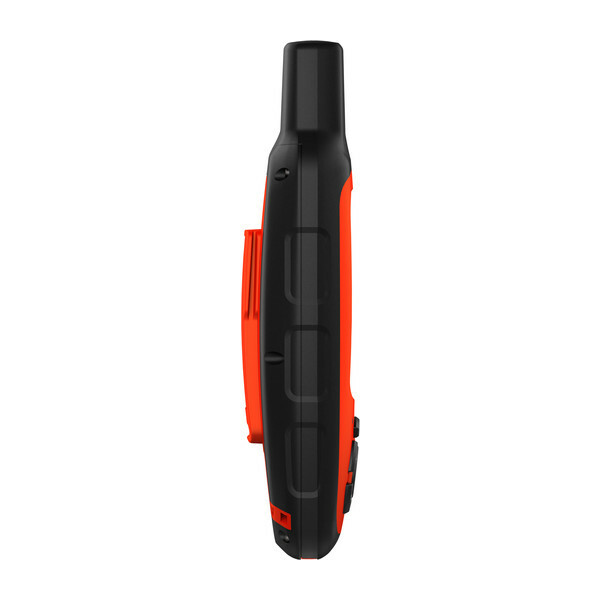 Looking for accessories to use with the Garmin inReach Explorer+ handheld device? We sell a vast selection of genuine parts and spares including eTrex Touch 35 retractable lanyard, carabiner clip, bike mount, adjustable handheld mount and microUSB cable. 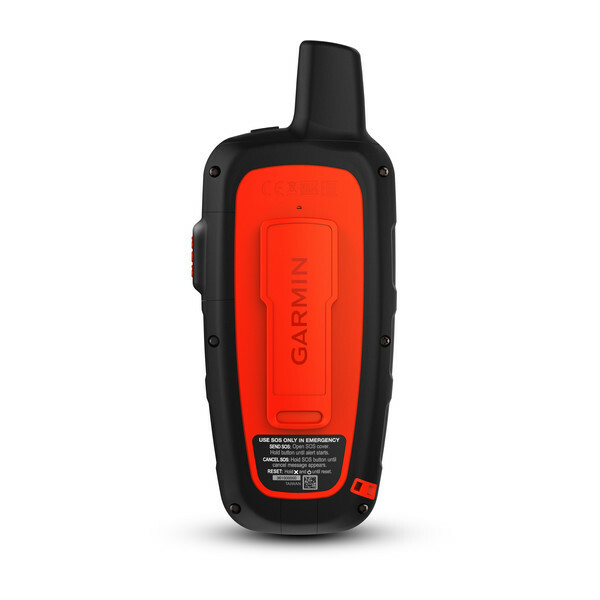 Do you have a question about the Garmin inReach Explorer+? Submit your question via our contact page.